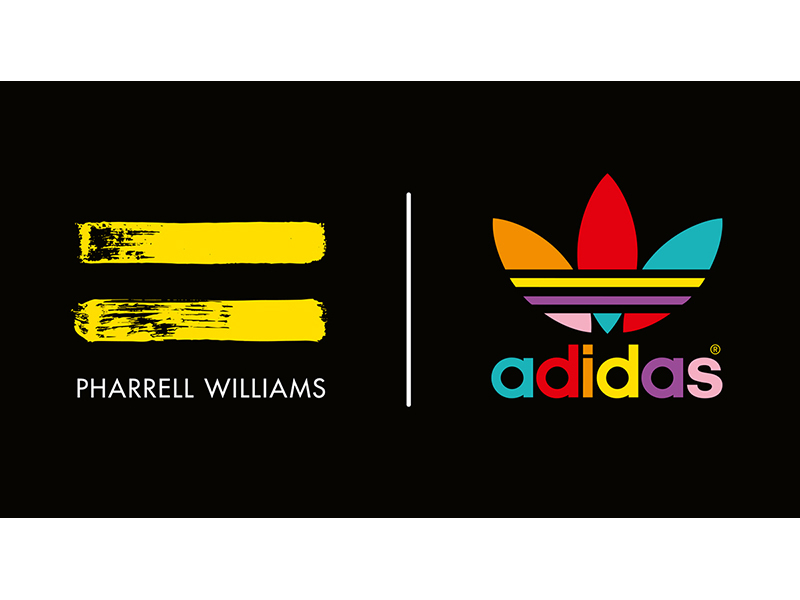 Beginning of this year, adidas announced a long-term partnership with musician and creative force Pharrell Williams. Today for the first time adidas globally releases the official logo of the collaboration with the confirmation of its first limited edition pieces being available in-store from this Saturday, September 20th, 2014 worldwide. The equal sign is the leitmotif of the collaboration's logo. Next to the adidas Originals Trefoil, two of the iconic three stripes transform into a bold equal sign with the third being the name of 'Pharrell Williams'. The collection and its products revolve around Pharrell's idea of equality. On September 20th two iconic adidas styles by Pharrell Williams will be revealed: the classic Superstar track jacket with contrasting 3-Stripes and the pure Stan Smith shoe, both in three bold monochrome colors, blue, red and black. Pricing ranges from 1000€/USD for the Napa leather jackets and 150€/USD for the classic Stan Smith. The first drop will be available at select sneaker boutiques, concept stores and adidas Originals flagship stores globally as well as on adidas.com/pharrellwilliams. Expect three more product packages to be released in October, November and December of 2014.